Spend less time on Facebook, and enjoy it more. Tired of all the junk on Facebook? Do you find yourself scrolling and scrolling forever? Only a couple items out of hundreds look interesting? Cut down all the garbage you see on Facebook and take control of your timeline. The method is simple and employs two parts. I guarantee you if you use this method, when you revisit the actual homepage of Facebook you’ll be shocked at how inefficient and noisy it is. You’ll never want to see the homepage ever again. 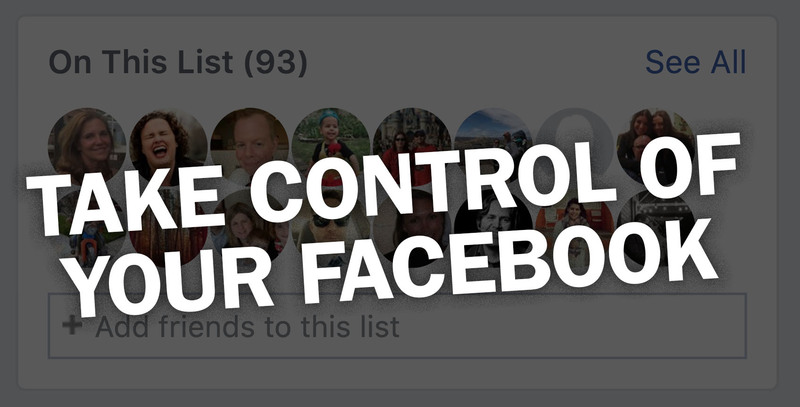 Your Facebook list will become your Facebook regular bookmark.